Celtic manager Brendan Rodgers keeps avoiding the link to Liverpool legend Steven Gerrard. There have been speculations that Gerrard would move to Celtic after the midfielder confirmed that he would exit Los Angeles Galaxy after his current deal. Rodgers and Gerrard worked together for three years at Anfield. As a return to Liverpool is not on the table, the next natural link was rejoining Rodgers if the player did not want to hang up his boots just yet. Aside Celtic, bookies say Newcastle also stand a chance of luring the ex Three Lions player as they fight for a promotion to top flight English football. “I never speculate or speak about players coming into the club. I never have done and don’t intend to start now – that will always remain private. The only thing I would say with regards to Steven, has been an incredible player. 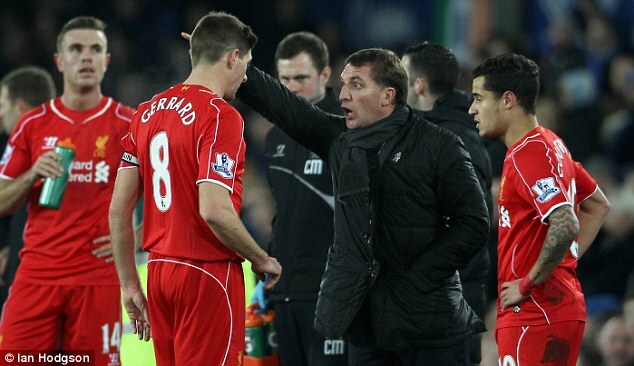 I had him for a number of years at Liverpool and he was absolutely brilliant with me,” Rodgers said. Rodgers spoke of the warm reception when he took over at the Merseyside. He refused to comment if Gerrard would move to the Scottish Premier League. “As a young manager going into such a great club, having the captain and real senior player there, to be able to work closely together with him and learn about the club and work together on the field was fantastic. “He decided to go to America and I’m sure he has had a good spell there. Steven will sit down now and come back and decide what he wants to do. In terms of speculation, I’m not sure where it’s come from. But players coming into the club will always remain private,” he added. Gerrard’s time in America did not go very well as he struggled to get the goals and win the hearts of the fans. Frank Lampard suffered same at the beginning but eventually proved his worth with time.